On June 3rd The Connecticut General Assembly will have finished its 2015 session. Hopefully they passed a budget before that date so the state can continue operating for the rest of the year. The last report I received is that most of the Community Investment Act funds had been restored but this is not certain until the final bill is passed and signed by the Governor. In the future will they try to remove funds from this fund? Hopefully not, but they will probably try again. During this legislative session we did have a bill that we testified on as a result one of the resolutions passed during the last State Grange session. We testified on a bill in support of not allowing pets to sit in drivers laps while the driver is operating a vehicle, calling it distracted driving. We also encouraged the use of pet restraints in vehicles to keep pets safe. Our testimony created much discussion on this topic and it was picked up by some national newspapers. Unfortunately the bill did not move on out of the committee, but it at least opened up the discussion on distracted driving and pet safety. Now is the time to start working on your resolutions for the next State Grange Session. 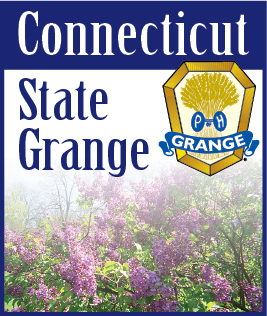 The deadline for submitting resolutions to State Grange is September 15th. Remember that resolutions need to be sent from your local Granges to your Pomona Grange for action before being sent on to State Grange. Many Granges and Pomona’s limit their meetings during the summer months. This also allows resolutions to be considered by a larger audience and to educate others on the intent of the resolution. Your resolutions do not need to be only of a state or national issue. You can also present resolutions concerning local issues which you can present to your local officials. You could also show your support of other organizations projects using resolutions.